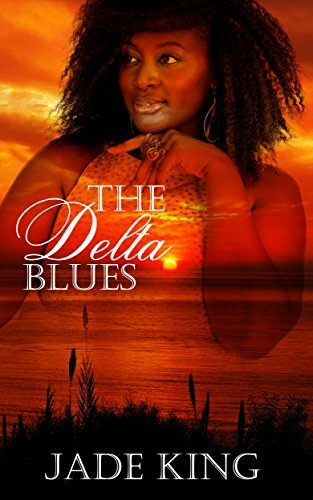 The Delta Blues opens strong and while the story is told at a fast pace, it locks you in and keeps you there as Grace takes you through her life from the ages of eleven to fifteen. Yes, there were some minor editing issues (misspelled words here and there, abrupt font and format changes)at this point, but they were easy to overlook because the story was strong. Grace was likable and funny. I found myself rooting for her early on. Ryder Freeman was one of the characters that I hoped would die the most painful deaths. I was happy when Grace met Danny as I assumed she would find love with him. Jade managed to describe him in vivid detail and I often imagined him standing on that dock fishing. Eddie was also a favorite character of mine. He never changed who he was and I loved that about him. Stoney was a breath of fresh air. I expected her to be one way and she fooled me by being someone else all together. It was a pleasant surprise. I was saddened many times in this book. The first time was by what happened to Laura and the second time, I really found myself in tears behind what happened to Grace's brother. I mean I had snot bubbles and all. However, as the story progressed those minor editing issues turned into glaring ones that I just couldn't ignore, which started to take away from the story. For example, early on, there was a kid name Jericho whose name turned into Jermichael later on in the book. Also, in one scene Grace celebrated her sixteenth birthday with cake and a party, however, after she was violently attacked, the book said she was assaulted a day before her sixteenth birthday and had to celebrate it in the hospital, which went against the whole scene I'd just read pages before. Another issue was Sondra. Sondra had shown up to an event in Grace's life with her father early on. However, come later in the book and Grace acted as if she didn't know who Sondra was. It was also as if her mother was just finding out about Sondra when early on in the book, she knew the woman her husband had been cheating on her with. Also, we knew who attacked Grace as soon as it happened because she saw their face, but near the end, she said she'd put two and two together to figure it out as if she didn't know. Made no sense as she'd told the police who the culprit was when she was in the hospital. These editing issues really made a strong and powerful book fall flat. Couple the editing issues with the fact that ending of the book made very little sense and I was a very unhappy reader. I didn't understand why Grace was so upset with Danny at that point. Jade has a very imaginative pen and she did a darn good job capturing my attention and keeping it. However, and I noticed she has her editor listed, I'd suggest she fire the editor, immediately. While I wanted to give this book five pages, I could only, in good faith, give it three-pages (think three-stars). I still wouldn't be able to recommend this book until those glaring editing issues are fixed.